Laminate floor installation is very popular. This material is available at a fair price, is easy to install, lasts for a long time, is easy to maintain and looks great. But there are times when the laminate is simply irreplaceable, not only because of its low cost, but other positive qualities. When you decide to upgrade your flooring and your money is limited, of course, you make choices in favor of the laminate. This material appeared not so long ago on the market, but has already established itself at its best. Year after year, producers are trying to improve this material’s quality but also the look. For example, today you can find laminate flooring in stores, which at first glance is difficult to distinguish from hardwood, but the price for one square foot is impressive. But how well does not look laminate flooring today, and as it was not worth the cheap, it continues to be a laminate. If you do not feel too great financial difficulties and you face the choice of what to install – laminate or hardwood, you should familiarize yourself with the advantages and disadvantages of both materials. Knowledge of the characteristics and advantages of laminate over hardwood help you install it where it will bring the most benefit. Where and why can you use the laminate floor installation? If the water is deep underground your house, then you can safely use laminate floor wherever you want. Thanks to its sturdy surface, it will bring special benefits to high traffic areas – in the hallways, children’s rooms and living room. Also, if your house is small, but the family is large, because of its endurance, I would recommend you install the laminate. 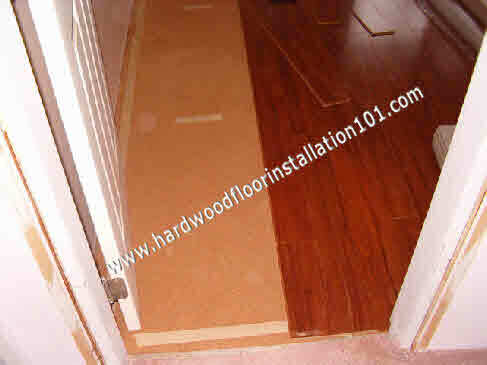 It is very hard to keep hardwood in good shape in a small house where there is high traffic. If you have any pets such as cats or dogs, then laminate floor installation is the right decision. With this material, your floor will look better than if you installed hardwood floor, which would quickly become covered with deep scratches from the animal’s claws. As you know, hardwood is much healthier than laminate, but it often the family can not afford hardwood throughout the house. And then laminate comes to the aid. Since the laminate floor installation is much cheaper than hardwood installation, you can install it in places where your family spends the least amount of time, for example in the basement. It is true that the only condition for this is the lack of closely held groundwater. 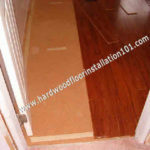 Typically laminate floor installation is done by the floating method. You should use an underlayment for it, which helps to isolate the sounds. If you want to increase the sound barrier, use cork as underlayment during your laminate floor installation.